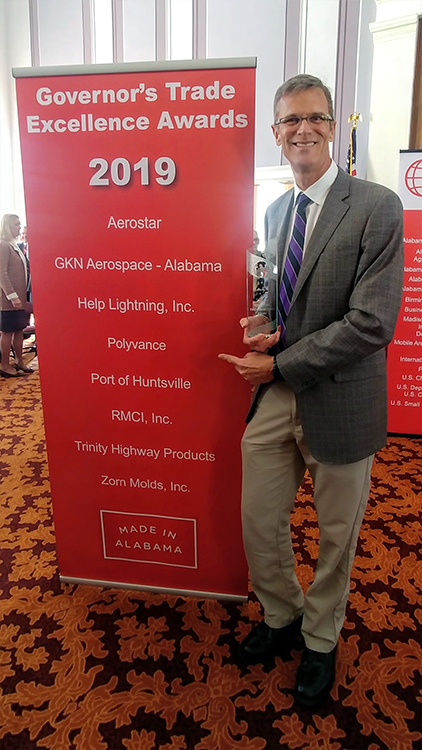 On March 27, 2019, Alabama Governor Kay Ivey announced the eight winners of the 2019 Governor’s Trade Excellence Awards. Polyvance is honored to be one of those winners. Kurt drove down to Montgomery to accept the award on behalf of the hard-working Polyvance team. We are proud of our growth in export sales, and we hope we can continue growing. We thank everyone for their support! 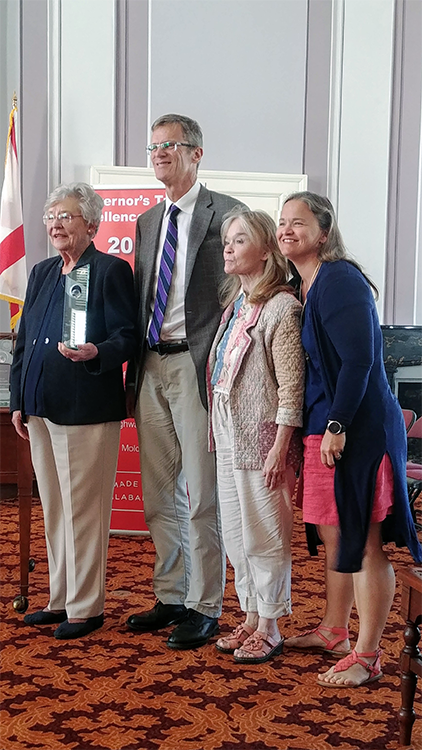 Kurt with Governor Kay Ivey, his aunt Roberta Lammon, and her daughter Jill Boozer.